The Chronicles of Brothers is the bestselling supernatural thriller series from Wendy Alec. A compelling holiday read – originally a self-published franchise, the Chronicle of Brothers series has sold almost three quarter of a million copies. The series deals with mythical and mystical themes across a celestial landscape. The series is divided into two parts, part 1: Time Before Time (the prequels) will appeal to fans of fantasy and sci-fi, and includes The Fall of Lucifer and The First Judgement. Part 2: The Trilogy will appeal to fans of suspense, and conspiracy thrillers, and includes Son of Perdition, A Pale Horse, and the long-awaited End of Days, publishing September 2018. 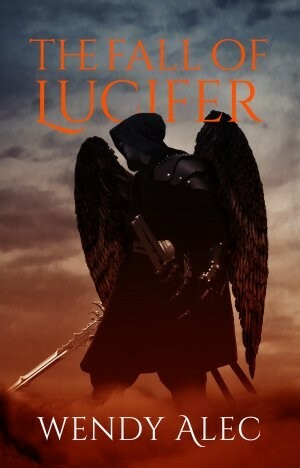 Sitting in in the fantasy genre of Game of Thrones and Paradise Lost, the story traces three archangel brothers, Michael, Gabriel and Lucifer and their harrowing journey from the flawless world of the palace chambers through to Lucifer’s banishment. The trilogy can be read as a standalone series for fans of suspense thrillers in the genre of Dan Brown. From desert tombs, to the towers of Wall Street, to the ancient past, this super-epic reveals the hidden history of mankind and the origins of evil itself. 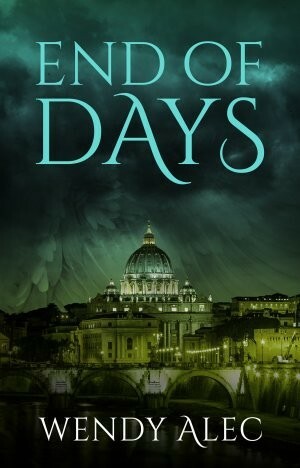 The trilogy is completed with the release of The End of Days this month. Chronically a high-stakes fight for humanity amongst a backdrop of war, deceit and lie-changing technology. End of Days is available now. Wendy Alec is a successful business woman and broadcasting entrepreneur, was born in London and raised in South Africa. She has lived in the United States and lived in Norway. She currently lives in London and has two grown-up children. Aside from writing the Brothers of Chronicle series is the author of spiritual guidance books.